News items about the continual development of advanced high-strength steels (AHSS) and other materials for use in the development of lighter vehicles with better fuel efficiency without compromising safety. 04 Apr 2019 - ArcelorMittal will undertake a research and development project that aims to reduce its carbon footprint through the use of hydrogen. 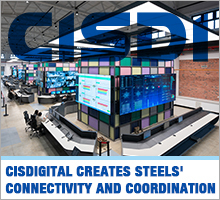 08 Mar 2019 - United States Steel Corporation, AK Steel Corp. and ArcelorMittal USA will share in US$1.2 million in federal funding, as well as in time on government supercomputers, for research into slab and hot strip production.